AUSTRALIA suffered the worst flu season on record because we used a cheap vaccine that did not protect the elderly, doctors have warned. 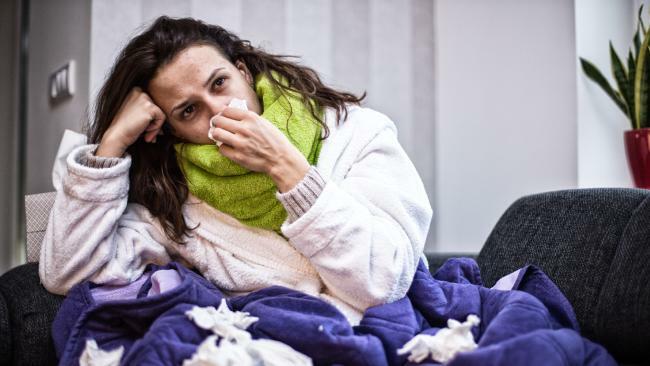 As the virus finally recedes it can be revealed more than 217,000 Australians had laboratory confirmed cases of the flu this year - more than twice the previous record of just over 100,000 in 2015. Doctors are blaming the $6 budget version of the flu vaccine used in the national vaccination program for the problem. It is used even though it does not work well in the elderly, said Immunisation Coalition chair Professor Paul Van Buynder. A vaccine that is four times stronger and costs $8 per dose has been found to be 24 per cent more effective in preventing influenza and cuts the risk of hospitalisation for respiratory illness by 12.7 per cent. It is not available in Australia. Professor Paul Van Buynder wants a stronger flu vaccine. Picture supplied. "Paying for a vaccine that doesn't work is a false economy, if you can stop tens of thousands of people getting sick or hospitalisation the extra expense is worth undertaking," Professor van Buynder said. "This was a disaster year and if we don't get policy change as a result heaven help me." The president of the Royal Australian College of General Practitioners Dr Bastian Seidel is also calling on the government to fund the stronger vaccine. He wants the government to provide free flu vaccines for everybody. 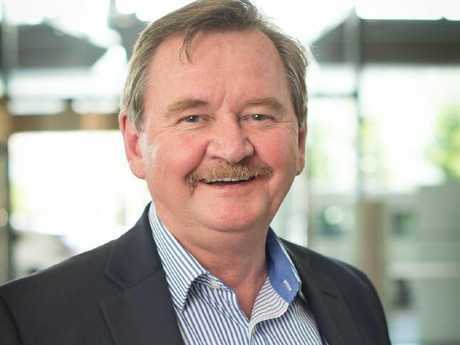 Professor van Buynder is a public health physician with the Gold Coast Health Service and has worked in the UK and Canada and been a member of an advisory panel to the expert group that advises governments of which vaccines should be on the national immunisation schedule. The Immunisation Coalition, formerly the Influenza Specialist Group, has been in existence since 2006 and has a board of nine doctors committed to raising public awareness of immunisation. Australia's Chief Medical Officer, Professor Brendan Murphy said the claim that cheap vaccines are purchased for the National Immunisation Program (NIP) is false. "Of the trivalent influenza vaccines supplied internationally specifically for the elderly, one (a high dose formulation) is not registered in Australia and the other (an adjuvanted vaccine) does not have an up to date registration in Australia. This means the vaccines are currently not able to be supplied in Australia," he said. "By law, the independent Pharmaceutical Benefits Advisory Committee must recommend a vaccine before it can be listed on the NIP. "The PBAC has not yet received a submission for either vaccine. "The choice of vaccines is based on recommendations from independent medical experts including the Australian Technical Advisory Group on Immunisation. Independent advice ensures Australians receive the best possible vaccines." 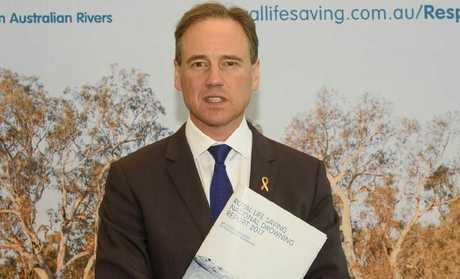 Health Minister Greg Hunt has also asked the Chief Medical Officer to examine whether there are ways to strengthen the National Immunisation Program, including holding talks with manufacturers on new and strengthened vaccines. 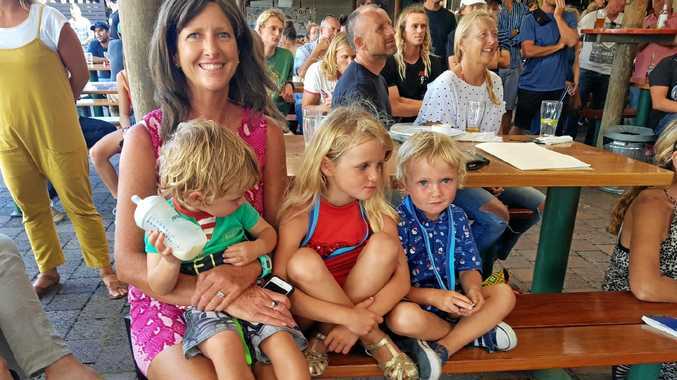 This year's flu virus took the lives of Canberra mother-of-two Jennifer Thew and eight-year-old Rosie Andersen, eight nursing home residents in Victoria and six in Tasmania also died. Sarah Hawthorn was put in an induced coma after contracting the flu and had to give birth to her son early. In Queensland, 5710 people were hospitalised with the flu and 678 were admitted to intensive care. In NSW, 937 people have been hospitalised with flu since April including 247 children, 81 people were admitted to intensive care. More than 650 Victorians were admitted to hospital as a result of the flu with 9 per cent put in intensive care and there were over 95 deaths. • All three strains of the flu AH3N2, AH1N1 and influenza B were in circulation. • One strand of the flu mutated and the vaccine did not protect against the mutation. • 1 in 4 elderly people, 2 in 3 pregnant women and 9 in 10 children are not vaccinated against the flu. Professor Paul van Buynder the chair of the Immunisation Coalition said action was needed to prevent a repeat of the crisis next year. Four states have or are considering introducing childhood vaccinations - Western Australia, Queensland, New South Wales and Victoria. 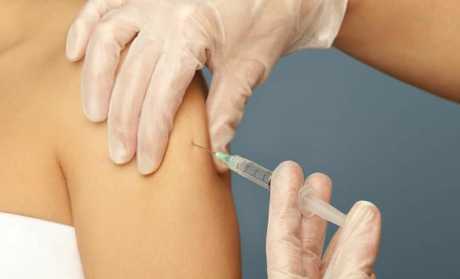 Last month Health Minister Greg Hunt said he would investigate ways to boost vaccination rates among workers in aged care facilities, including making the flu vaccine compulsory. Venn Buynder says kids are super spreaders of the virus and they must be vaccinated to control the spread and the Commonwealth should pay. The vaccine should be made part of the national childhood vaccination schedule and boosters should be provided via school vaccination programs, he said. Gold Coast grandfather of 13 Stephen Beaumont is backing calls for a better flu vaccine. The 66-year-old had his flu vaccine in May but just a few weeks ago was hospitalised because he was coughing and unable to breathe. A test revealed he had influenza B. "I had a dry cough that wouldn't go away, I was exhausted, couldn't breathe or put a shirt on or walk to the bathroom," he said. I had to call the ambulance to come and get me and they put me on oxygen and I was five days in the Gold Coast University Hospital. "I had another friend in hospital for over a week and he had the vaccine too. "I was surprised it (the vaccine) didn't work. Definitely I think we need a stronger one."